Product prices and availability are accurate as of 2019-04-09 19:46:44 EDT and are subject to change. Any price and availability information displayed on http://www.amazon.com/ at the time of purchase will apply to the purchase of this product. 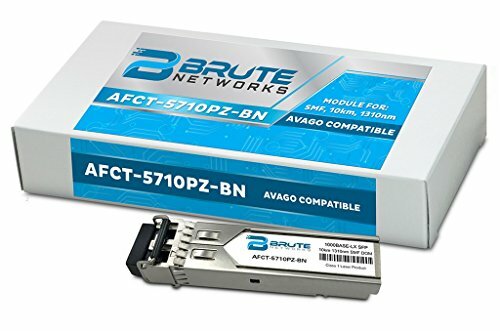 All Brute Networks transceivers are built to comply with MSA (Multi-Sourcing Agreement) standards to offer a cost-effective way to add, replace, or upgrade an SFP slot on your router, switch or server. 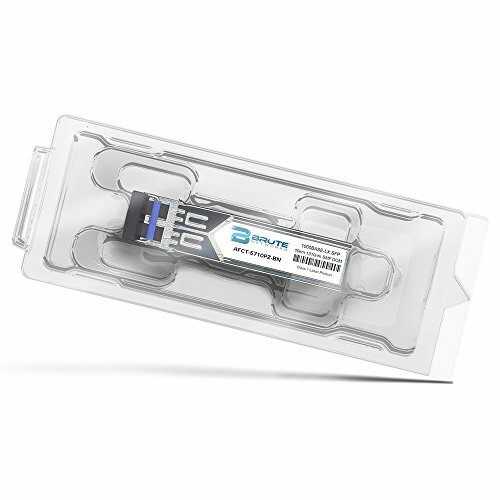 Our transceivers are coded with OEM specific configuration data required for networking compliance. 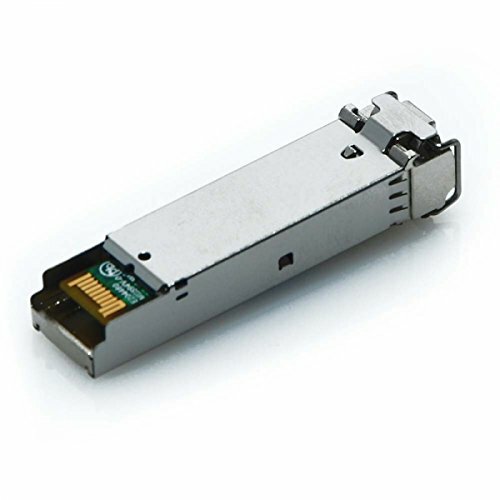 These transceivers initialize and perform identically to OEM transceivers and can be mixed and deployed with other OEM or 3rd party transceivers for seamless network performance. Brute Networks optics meet the highest quality standards in firmware, packet integrity, laser strength and discrete hardware, and are guaranteed for the life of the part. We use an industry leading application specific testing process, helping us achieve a product defect rate well below the industry standard. Brute Networks is so confident in our products fidelity, interoperability, and compatibility, we offer a 30 day full refund return policy on any optics, without any kind of restocking fee. Datasheets are available on request.